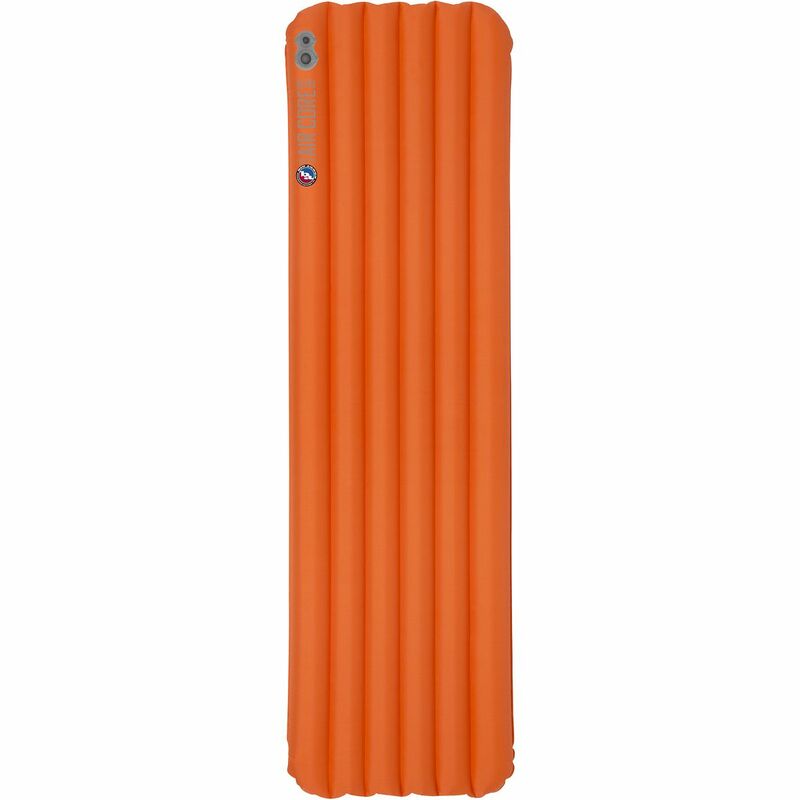 Balancing a good night's rest with lightweight packability is what the Big Agnes AXL Air Sleeping Pad does best. The internal construction is designed to provide maximum stability and comfort while minimizing weight and packed size, so you have more room for stuff you love, like food. With a generous thickness of 3. 5in, and large outer tubes to cradle you as you sleep, you might end up spending more time in your tent than originally intended. A low-profile port with a two-way valve saves on lung capacity while you're setting up camp, and it deflates even faster if you sleep through your alarm the next morning. 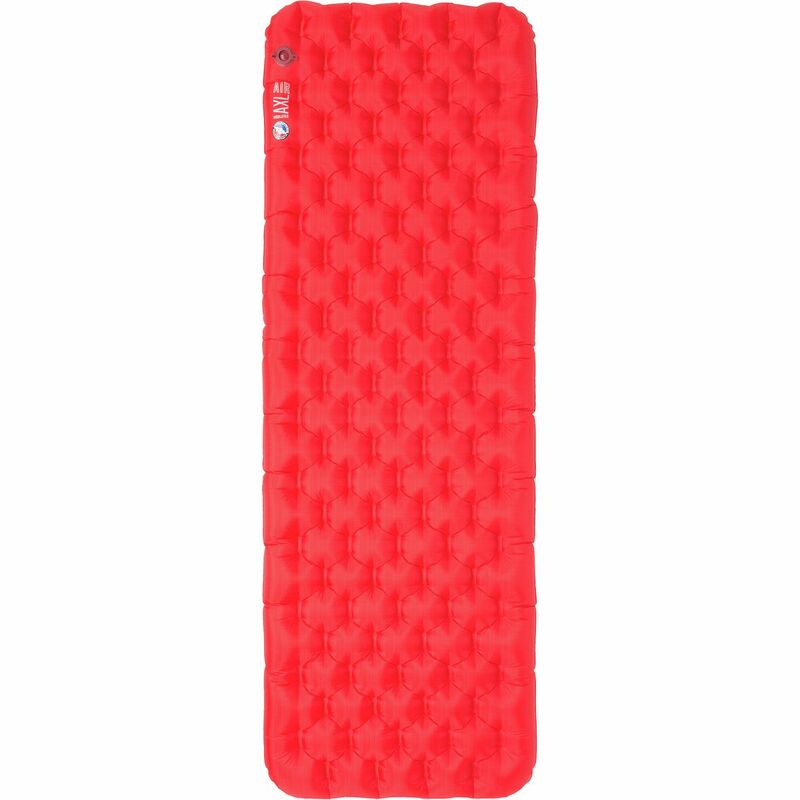 The AXL Air collection includes the lightest sleeping pads from Big Agnes; in the case for the Insulated AXL Air Sleeping Pad, it's the lightest insulated sleeping pad that Big Agnes has ever made. Made for spring-to-autumn temperatures, this AXL Air uses Primaloft insulation and a Mylar heat-reflective laminate to boost your own body heat back your way. The result is a sleeping pad perfected for campers and backpackers who always feel a little bit chillier than everyone else in the morning. Whether you're taking full advantage of mild spring temperatures in the desert or tromping around the high country come summer, the Big Agnes Air Core Ultra Sleeping Pad is designed to keep your pack light and back comfy when you finally call it a night after a long day on the trail. The Air Core's minimalist I-beam construction keeps overall weight to a minimum, and the tough nylon fabric is fashioned with a TPU laminate, which resists punctures and tears when Fido decides your sleeping mat looks better than the tent floor. 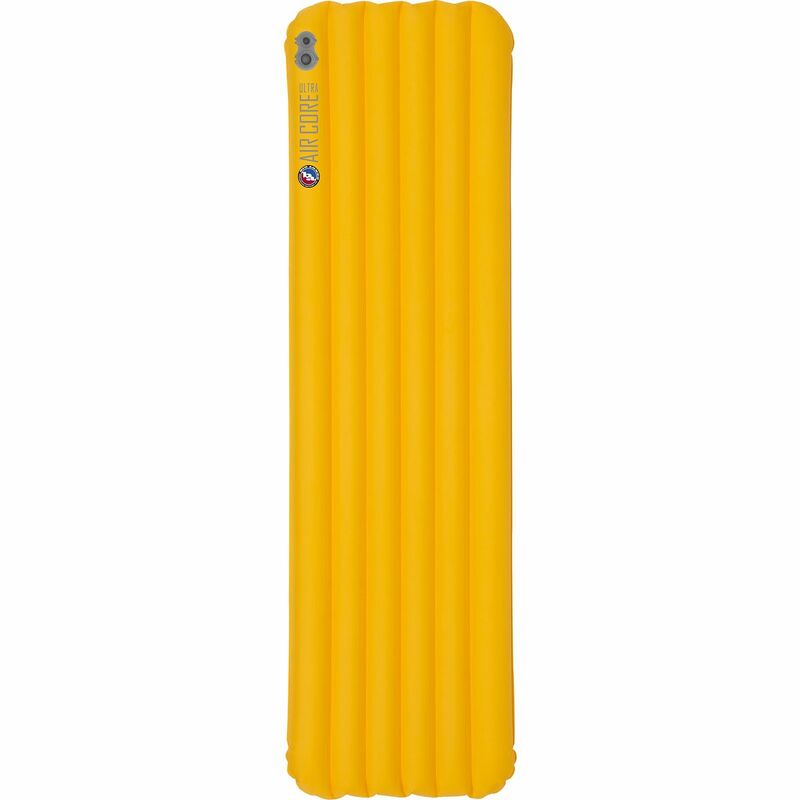 Big Agnes built this pad with sizable outer air chambers to help cradle your back in the middle, and added a large air valve to quickly deflate the pad when you're breaking camp. Ultimately, the Air Core is a non-insulated sleeping pad which makes it ideal for warm weather camping, and features an antimicrobial treatment to help prevent the inner air chambers from becoming a moldy mess over time. You can have the most comfortable pack in the world, but your back's still going to be a bit knackered after trekking fifteen miles with a forty-pound bag strapped to your posterior. However, thanks to the Big Agnes Insulated Air Core Ultra Sleeping Pad, you're able to comfortably simmer down and snooze peacefully when you finally crawl into your tent after a full day on the trail. 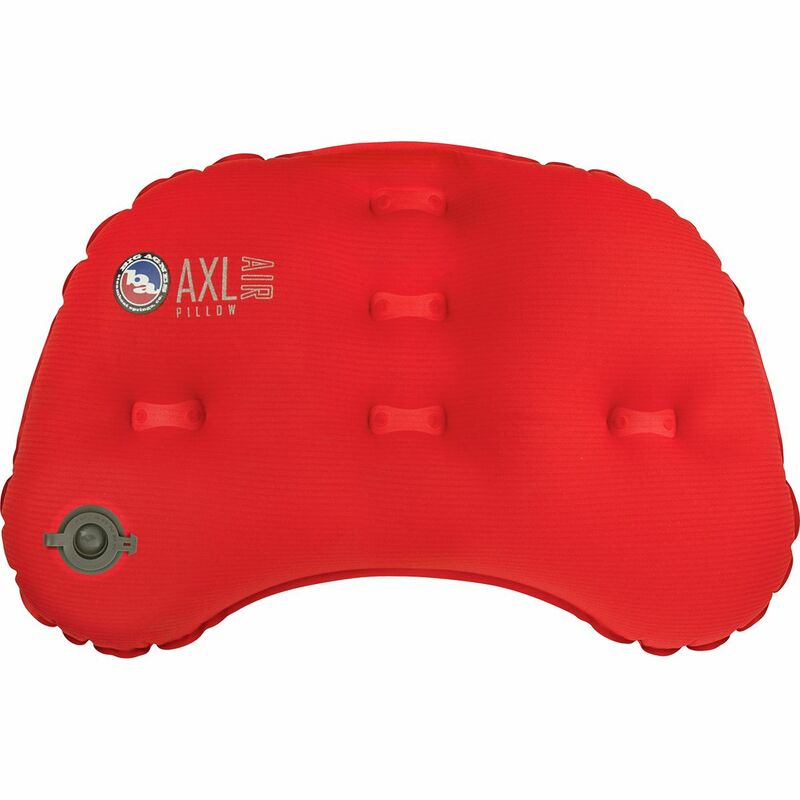 Designed to offer personalized cushioning, this insulated pad features a high-volume valve and micro-adjust air pressure button that, when combined, assure quick inflation. A generous dose of synthetic insulation makes this pad capable of dealing with temperatures down to fifteen degrees, so you won't have to spend your night hugging a warm bottle of water during those late fall and early spring trips. Additionally, the minimalist-yet-rugged I-beam construction keeps this sleeping pad's weight to a minimum, but without sacrificing durability in the process. 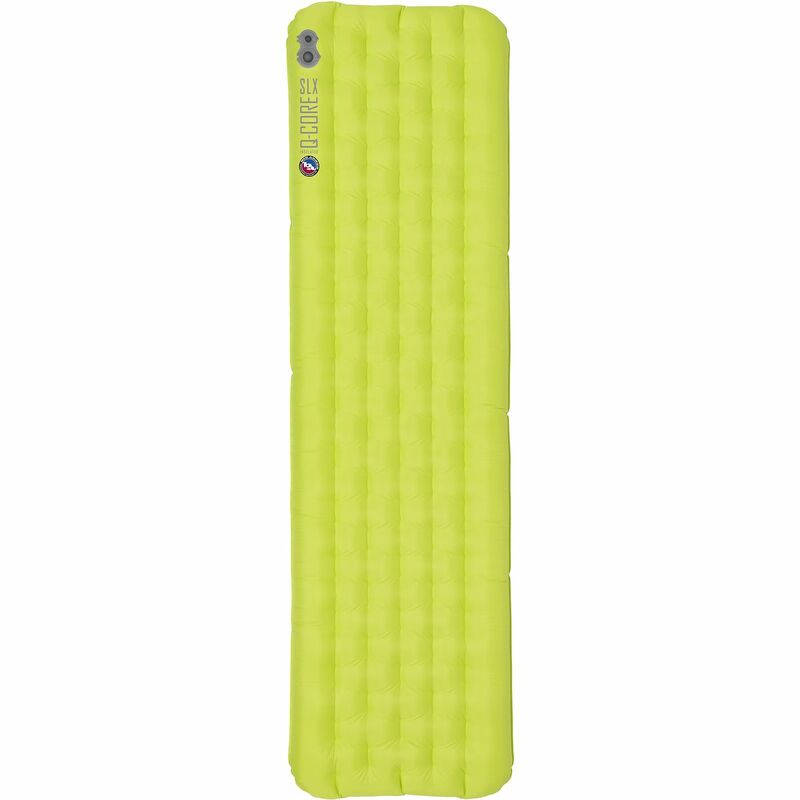 Big Agnes calls the Q-Core Deluxe Sleeping Pad the most comfortable air pad on the planet, and despite the hyperbole, a statement that grand is certainly worth considering. 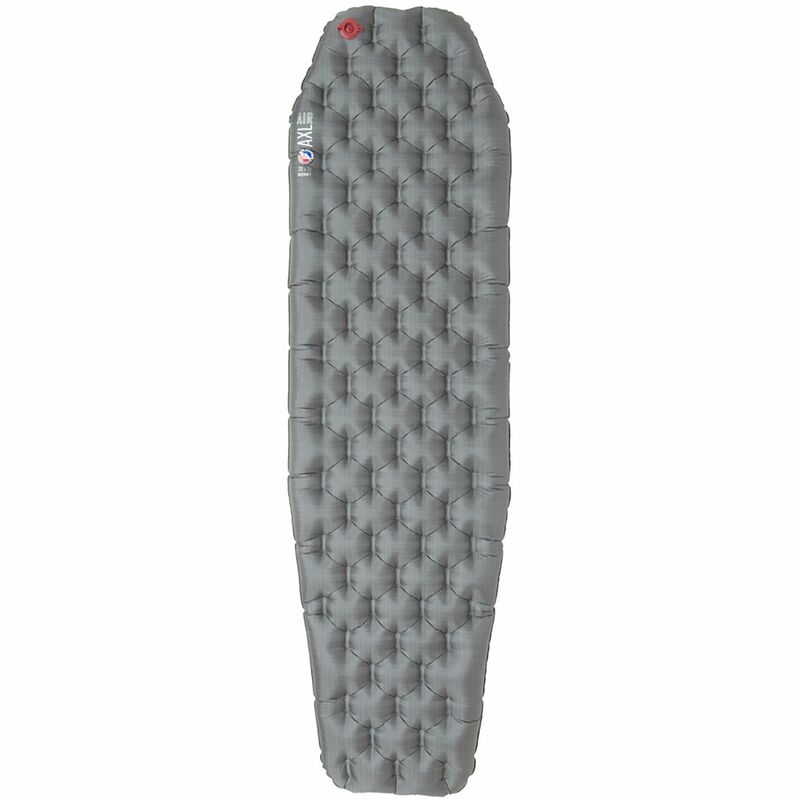 Primaloft Silver insulates this pad to help you stay warm in temperatures right below freezing, and the quilted top mimics mattresses to keep you comfy throughout the night. This Q-Core pad features an I-Beam construction that reduces weight in places that don't disrupt the pad's structural integrity. That means you get a stable platform and a lower weight. The Big Agnes AXL Air Pillow allows you to get a restful night's sleep when you're out on the trail. Its four-way stretch nylon construction has a high tear-strength so you can confidently bring along the pillow on all your backcountry adventures. Its minimalist I-beam construction reduces weight and delivers a consistent stability for comfort no matter where you are. Additionally, its ergonomic thickness and shape enable a customizable sleep position so you can wake up refreshed and ready for another day on the trails. 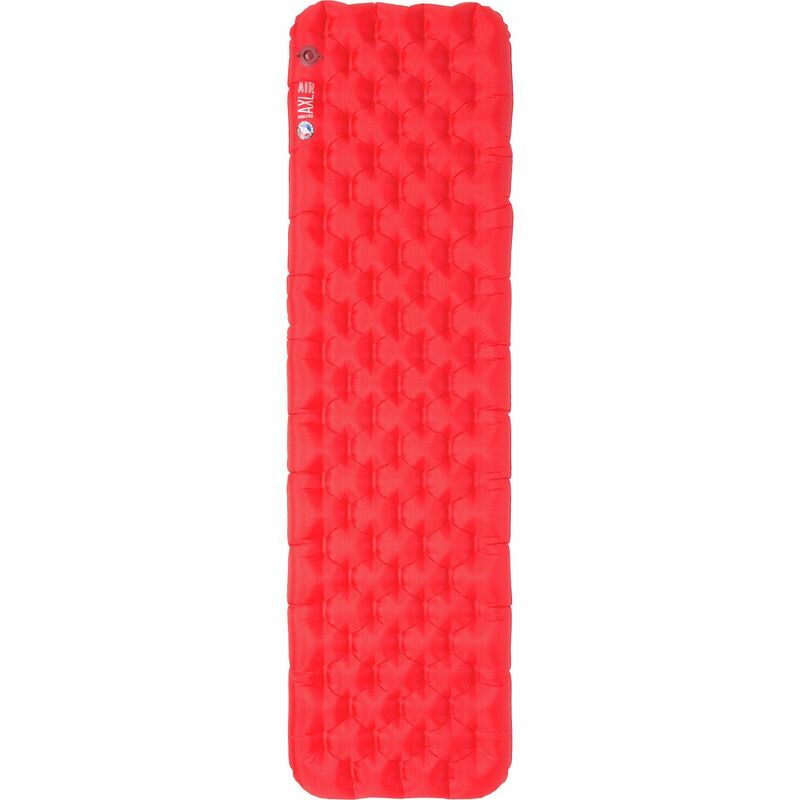 Your dirtbag lifestyle may not bring you to many five star establishments, but honestly who needs overpriced, tourist traps when the Big Agnes Q-Core SLX Insulated Sleeping Pad adds a heavy dose of luxury to your camping experience. Made with a ripstop nylon and TPU laminate, the Q-Core is a rough and tumble mat with a minimalist design that keeps its weight to a minimum in all of the available sizes. 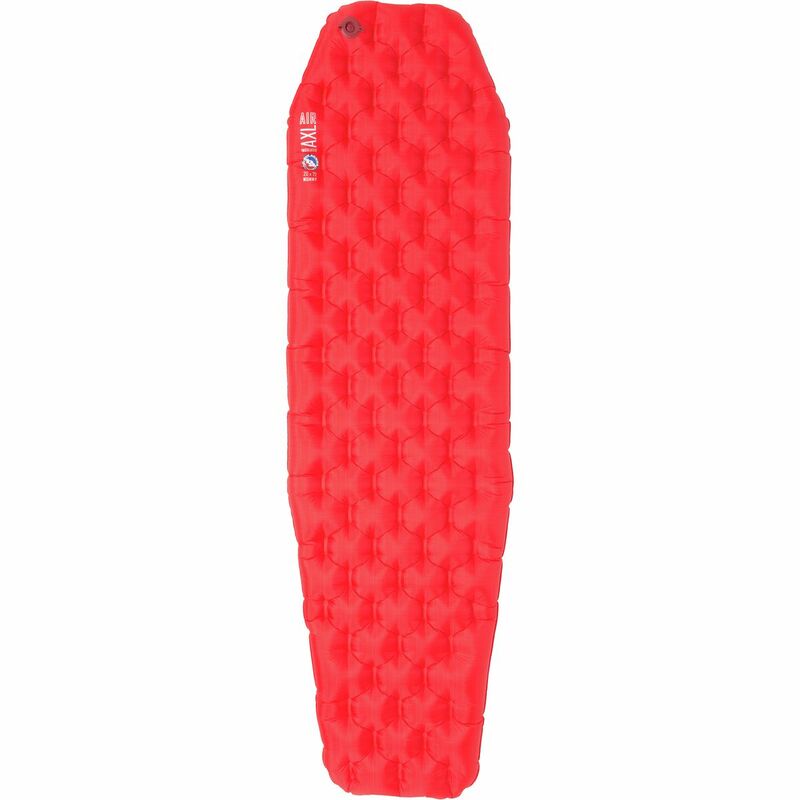 A layer of synthetic insulation works hand-in-hand with the cozy, quilted top to deliver top-shelf comfort when temperatures down to fifteen degrees, which makes this pad ideal for everything from early spring ski tours and summer backpacking at high elevations, to late fall trips to the desert. The pad inflates quickly thanks to a high-volume valve that can be adjusted to the perfect firmness with a micro-adjust, air pressure button. Additionally, the Q-Core SLX is equipped with an antimicrobial treatment to reduce odor buildup.